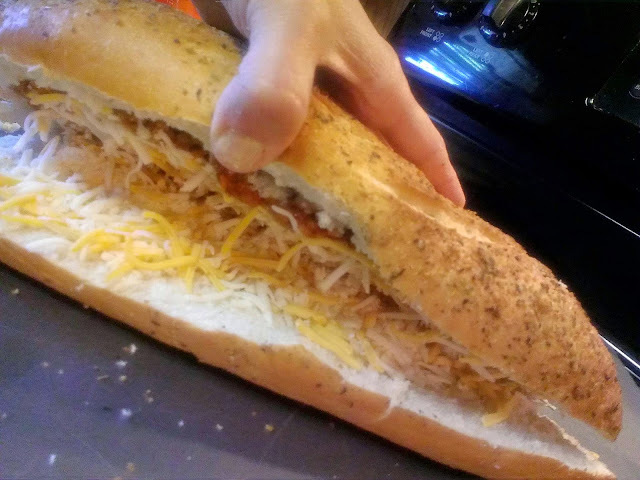 I like easy and quick meals! I like them even more when they are inexpensive to make. 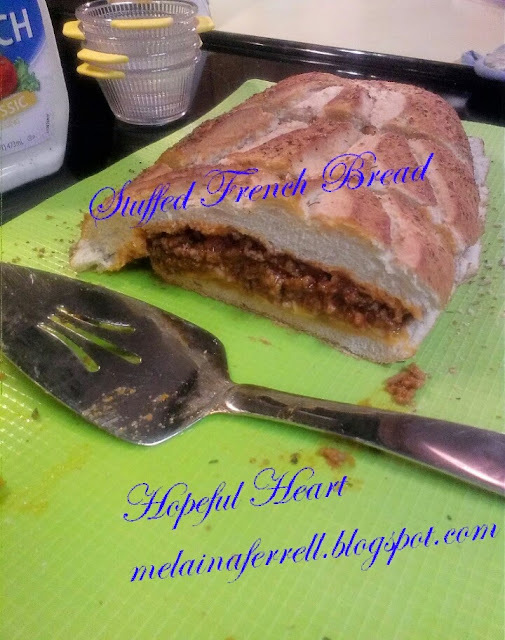 Today, I want to share with you one of those meals; Stuffed French Bread. some of the inside bread leaving a small bowl-like place. (The scooped out bread can be used to make croutons, bread pudding or to feed ducks). Now, this is the fun part. You can fill the hollowed out area with anything you like! This particular time I used left-over spaghetti sauce with meat. 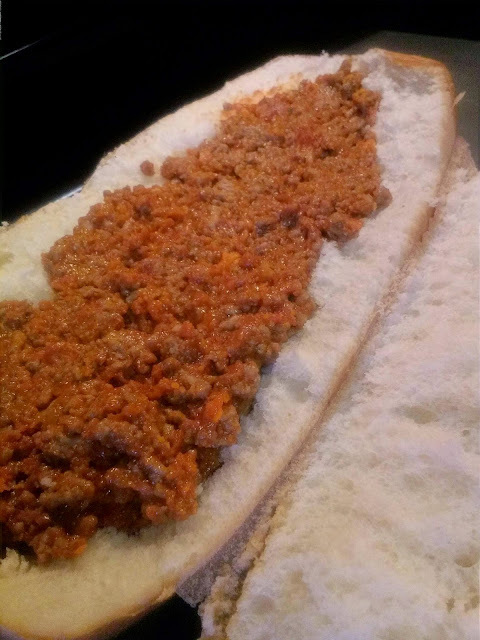 (I recommend you prewarming the filling if need be) However, you could stuff your bread with left-over taco meat, chopped chicken, chopped steak, lunchmeat, cooked sausage, or bacon; the sky's the limit! Next, I would top with a generous helping of your favorite kind of cheese. I topped my spaghetti sauce with an Italian cheese blend. After that, top with anything you want: onions, olives, jalapenos, bell peppers, etc. Place loaf on a foil-lined baking sheet or pre-warmed baking stone in a 350 degree oven and bake about 20 minutes. Times may vary with different ovens. 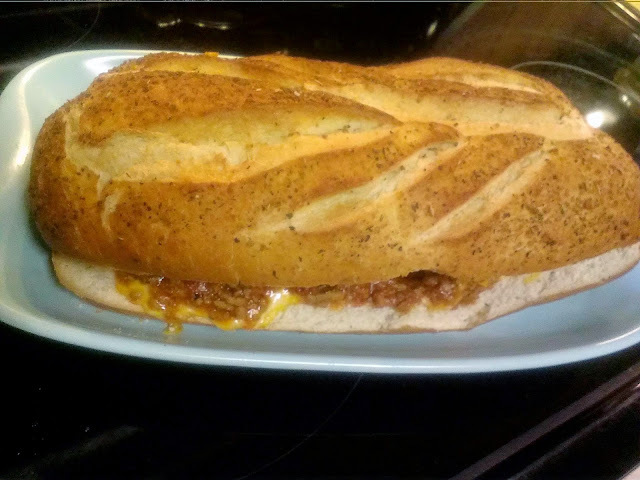 Basically, you want the bread to be slightly browned and.the cheese inside to be melted. When the bread is done, let loaf cool for about 5 minutes before slicing. You can serve with a big salad or your favorite veggies. My family liked to dip their bread in Ranch dressing! You can just be creative and have fun!! Your children may want to help also! 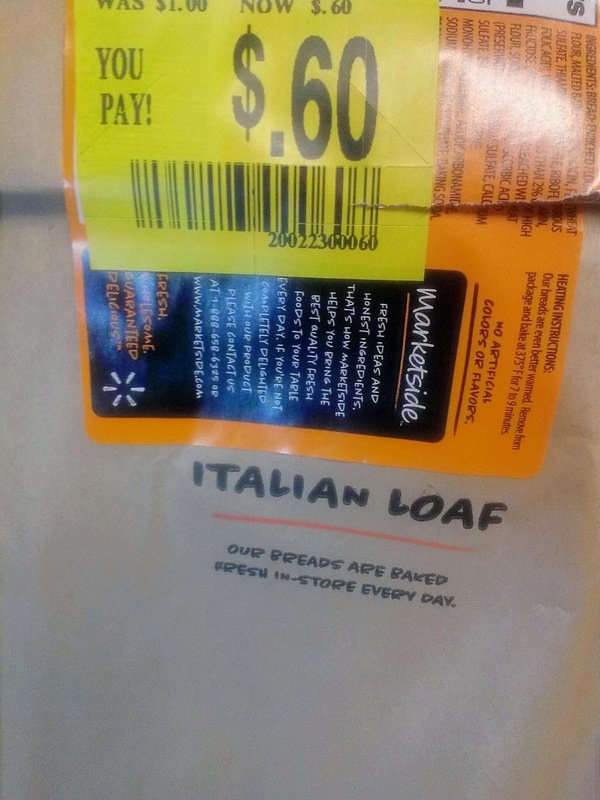 They can help put their favorite toppings in the bread, etc. Hope you have a great Tuesday. Don't forget to count your blessings and love on your family!